Sigma Mixer Kneader Machine is uses for uniform mixing of semi solid materials. 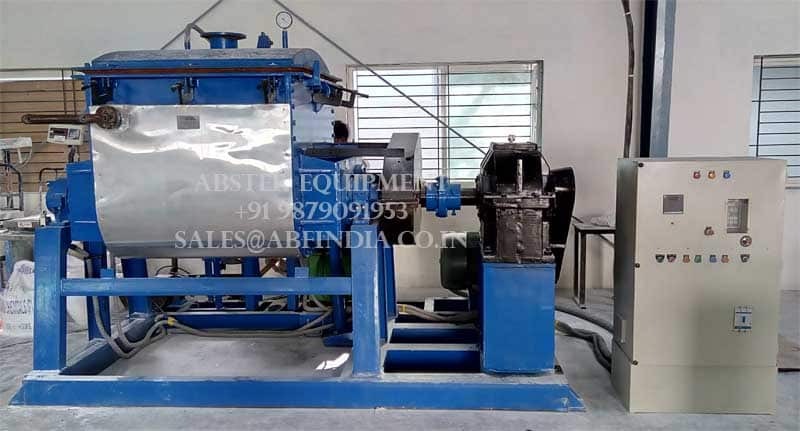 Machine consist of U trough bowl with two ‘Z’ shape blades each rotates in opposite direction for proper mixing of material. Machine equipped with suitable capacity motor & gearbox decided as per characteristics of the product & process. Equipment is provided with Jacket arrangement for heating or cooling applications. We manufacture Sigma Mixer Kneader in capacity ranging from 5 kgs. up to 5000 kgs. Sigma Mixer Kneader is widely uses for mixing polyester putty, rubber solution, biscuit dough, sauce, polymers etc.